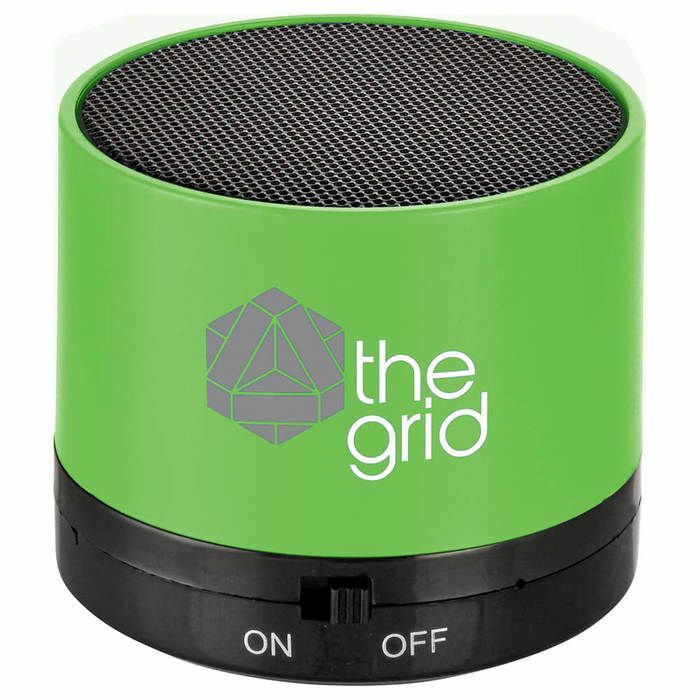 The Cylinder Bluetooth® Speaker is a lightweight speaker with an internal rechargeable battery that provides up to 1.5 hours of nonstop music. The built in music control and microphone is for hands free easy calling and a micro charging cable is included. The Bluetooth working range is 10 meters (33 feet). Charge time: one hour. Imprint Area 1.00" H x 1.50" W 3 colors on front.